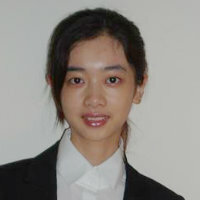 Junlei Hu started her PhD programme at Cass Business School in 2014. Before she commenced her PhD study, she has obtained a First Honor Bachelor degree in Economics and Statistics from University College London. She also has a Master degree in Economics from the University of Oxford and a Master degree in Actuarial Science from Cass Business School. Junlei's main research interests focus on the optimal design of insurance and reinsurance. Her doctoral research is on "Theoretical and Empirical Study on Optimal Insurance and Reinsurance". Chinese (Mandarin) (can read, write, speak, understand spoken and peer review), English (can read, write, speak, understand spoken and peer review) and Japanese (can read, write, speak and understand spoken). Optimal insurance and reinsurance design has represented a topic of research interest in the actuarial science and insurance literature for more than 50 years. Closed-form solutions can usually be found if models are carefully constructed, i.e. are usually built with simplifying assumptions. When such well-behaved models are not available, which unfortunately represents the majority of the problems in the literature, numerical methods have to be sought. Another focus of the research is to identify insurance contracts that are both robust and Pareto optimal. Most of the existing literature assumes that the underlying model distribution is completely known, and hence, ignores any model/parameter risks. However, such assumption is not usually true in the practice, especially when there is data scarcity or when the current data fails to fully capture the future trends. Therefore, decision-makers may prefer to act prudently by finding an insurance contract that is more robust against model uncertainties. Robust optimisation is precisely the standard method that helps in reducing the model risks. After all, the Pareto efficiency of solutions may need to be checked for some of the robust models. Asimit, A.V., Gao, T., Hu, J. and Kim, E.S. (2018). Optimal Risk Transfer: A Numerical Optimization Approach. North American Actuarial Journal, 22(3), pp. 341–364. doi:10.1080/10920277.2017.1421472 . Asimit, A.V., Bignozzi, V., Cheung, K.C., Hu, J. and Kim, E.S. (2017). Robust and Pareto optimality of insurance contracts. European Journal of Operational Research, 262(2), pp. 720–732. doi:10.1016/j.ejor.2017.04.029 . Asimit, A.V., Chi, Y. and Hu, J. (2015). Optimal non-life reinsurance under Solvency II Regime. Insurance: Mathematics and Economics, 65, pp. 227–237. doi:10.1016/j.insmatheco.2015.09.006 . Asimit, A.V., Hu, J. and Xie, Y. Optimal Robust Insurance with a Finite Uncertainty Set. Insurance: Mathematics and Economics. Asimit, A.V., Gao, T., Hu, J. and Kim, E.-.S. Optimal Risk Transfer: A Numerical Optimisation Approach. SSRN Electronic Journal. doi:10.2139/ssrn.2797562 .